I am intrigued by travel writers. They seem to have gypsy blood running through their veins. 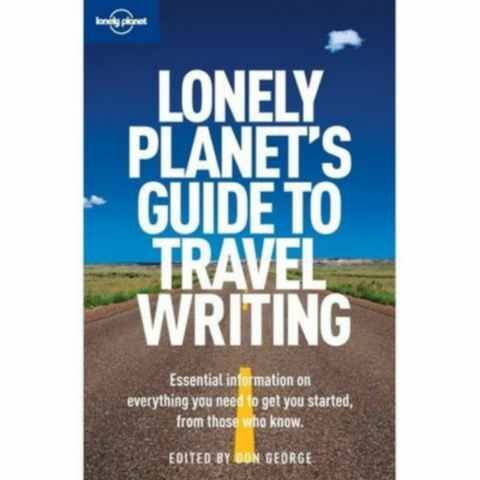 In the book below, the authors interview a few travel writers, and the general consensus is that a travel writer should not be cliché. Here is a summary of clichés that are all too common among travel writers, but which really should be avoided. 1. Why do so many travel writers seldom travel outside the USA, and often not for more than one or two weeks per year? 2. Why do so many travel writers believe that it is his or her job to provide entertainment journalism? 3. Why do so many travel writers believe romanticized explanations are more interesting than factual explanations? 4. Why are so many travel writers’ stories 100-percent-positive reports? No honest appraisal can be 100-percent free of negatives. 5 Why do so many readers believe these travel writers? Why does it feel like the audience wants a lie more than the truth? 6. Why do travel writers interview other travel writers below them in stature or status, or write about dead ones? There is some karma robbing going around in the travel industry. 7. Why don't travel writers write about everyday tourists and travelers, as if writing about travel writers is more important than the experience of tourists and travelers? 8. Why do travel writers openly request other travel writers to modify their stories – change them, add to or delete from them – as if they were working as a team against the readers? The interviewees of travel articles have a say in how the story is written, unlike in normal journalism, where the writer writes and lets the chips fall where they fall. Travel writers appear to be playing with loaded dice. 9. Why do so many travel writers see no ethical problem with living in a resort or hotel for free, and then writing travel articles about their host facilities as if they could write free of bias? There is nothing more cliché than trying to be a travel writer!